Innocy Computers is a leading software development company that offers a wide range of web based services for industry verticals. Our Application & software development center have the best resources and well trained experts to meet the demands of every class of customers world wide. Our web based services are Web development, Web design, Web Services, Web API, Mobile application, Billing Software, ERP, Telecom solutions and IT consulting services. Our comprehensive knowledge and commitment to being an industry leader ensures that our software meets all of your business requirements and that your finished project is always scalable, maintainable and extensible. Today Innocy Computers have a customer based covering all over India. With you in every step of the way, from idea creation and developing a business model strait through to design and technology implementation, we will make your transition into e-business as smooth and swift as possible. Combining skills you need to compete in the ever-changing world of the internet - strategy, systems integration, web technologies, brand building, user interface design, user reach - Innocy Computers provide solutions that work, who just not look good. 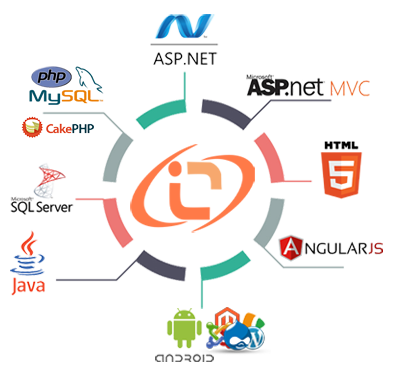 Technology : C#, Asp.Net, VB.Net, Ajax, JSON, MVC, Web Services, Web API, PHP, SQL Server 2017, MySQL etc. Projects , IT consulting, Web Design & Development, Software Design & Development, ERP, CRM, Android App Development, Web Services, Web API Services, WCF Services, SEO Work, Technical & Backend Processes, Billing Software, Telecom solutions. Our Commitment , We are committed towards achieving high levels of customer satisfaction by ensuring quality and services, cost effective and timely solutions. It would be our endeavor to achieve this with technical, financial and business excellence. If you have any requirements further, please feel free to contact us : info@innocy.com at any time. Our expert would be delighted to offer our best to you.